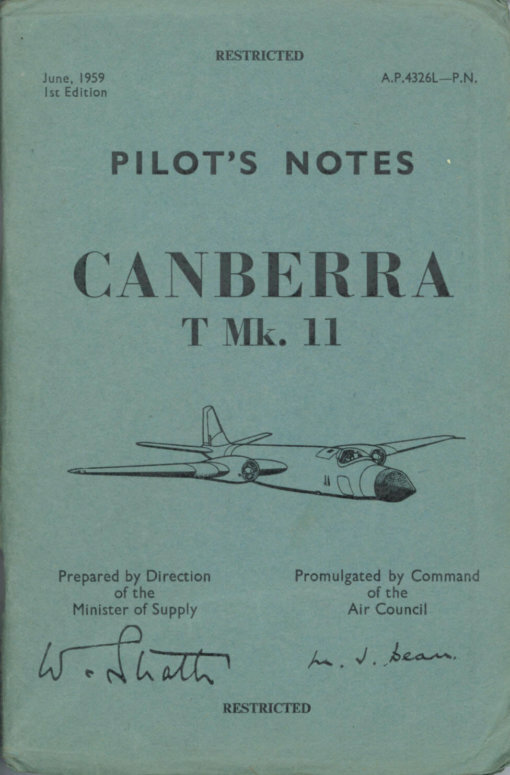 The Canberra was a first-generation bomber built in large numbers during the 1950’s. 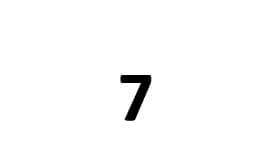 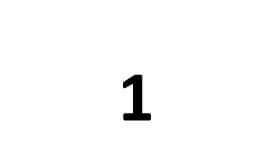 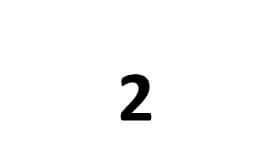 It proved extremely versatile and undertook a number of varied roles. 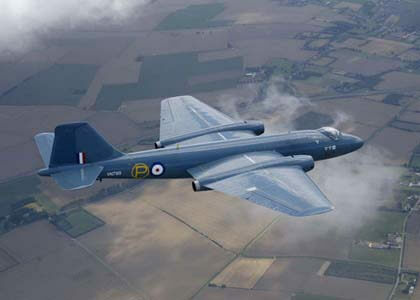 The aircraft was finally retired from RAF service in 2006, 57 years after its first flight. Designed as replacement for the De Havilland Mosquito it used a similar philosophy of using a large bomb-load, the most powerful engines available and enclosed in the smallest aerodynamic package. 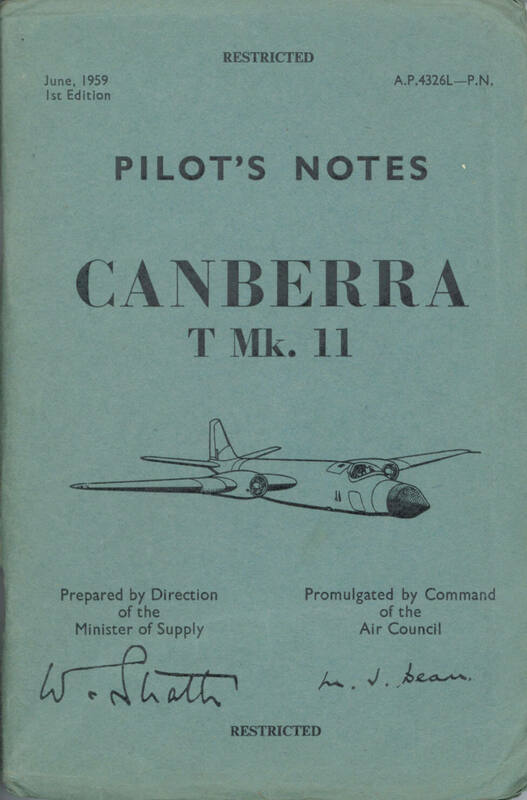 The first aircraft flew in 1949 and proved relatively trouble-free, so the Canberra entered operational service only two years later. 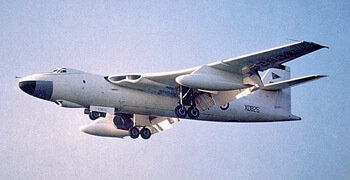 It continued to serve in the RAF for the next 55 years. 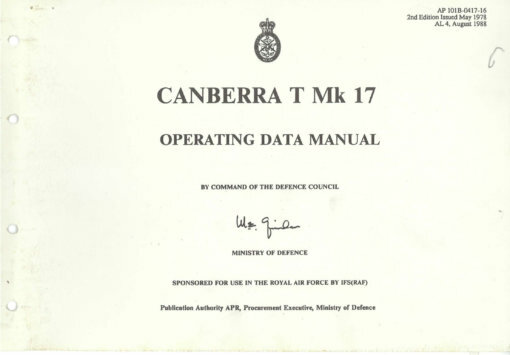 27 variants were produced covering the bombing, reconnaissance and training roles. The aircraft was licence built in Australia and exported to many other countries. 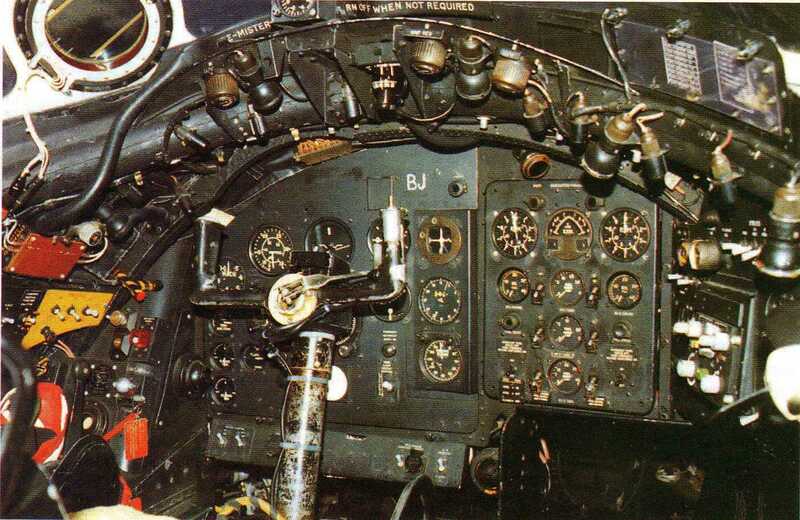 Its biggest export success was to the USAF where it won a USAF contest for a jet bomber to replace the Douglas B-26. 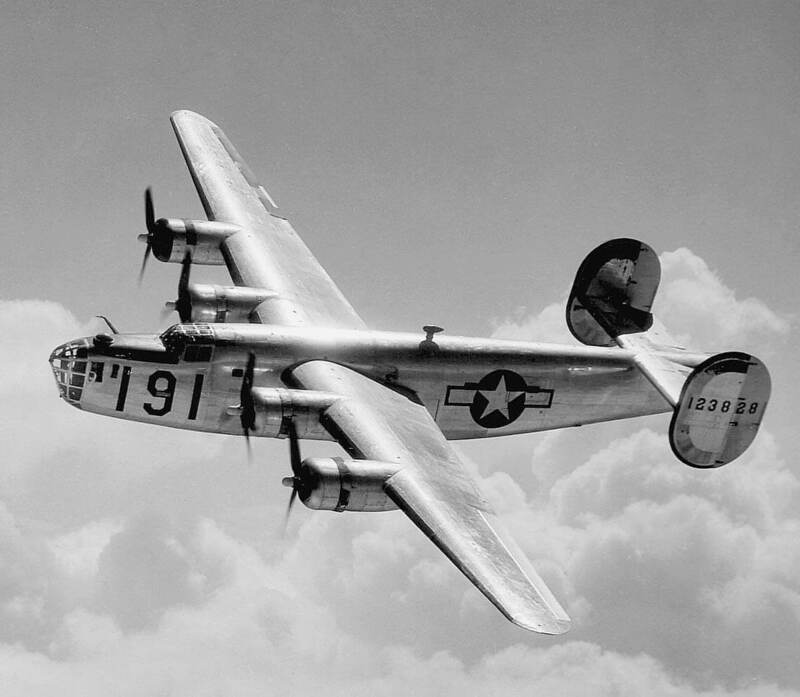 Martin Aircraft, whose own XB-51 was an unsuccessful contender in the same contest, was selected to produce the aircraft under licence. See a separate page for manuals on the Martin B-57. We offer seven titles for various marks of the English Electric Canberra. Each file has been scanned from the original flight manuals and retains any colour pages. Each title is US$9.95. 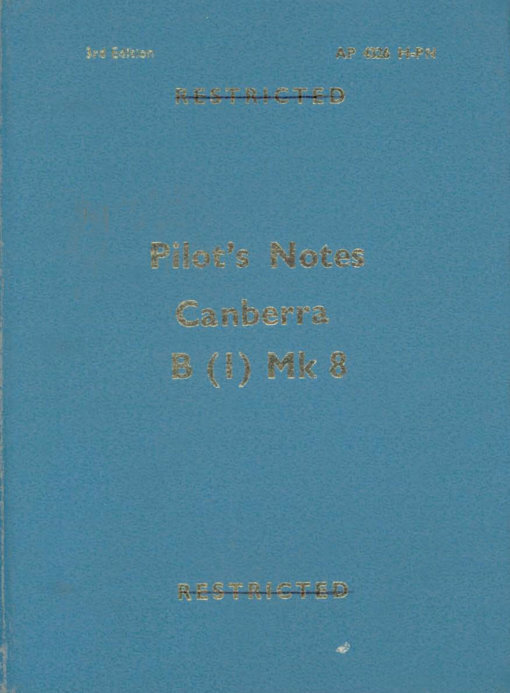 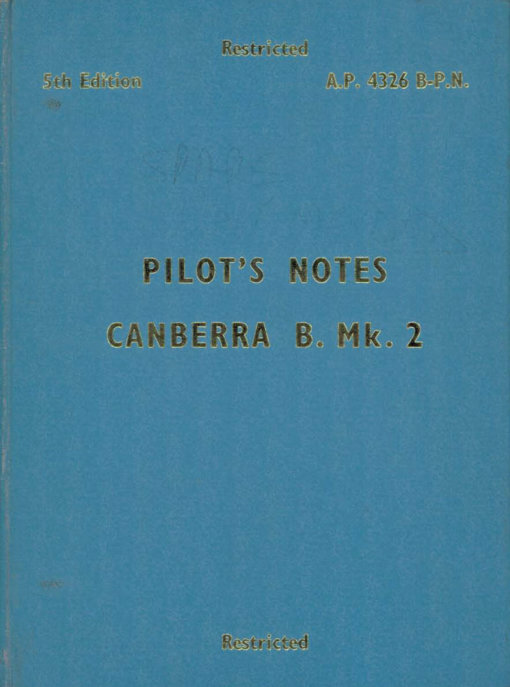 RAF Pilot’s Notes for the Canberra B.Mk.2, AP 4326B-PN 5th Edition dated October 1962, with approx 191 pages. RAF Pilot’s Notes for the Canberra PR.Mk.3, AP 4326C-PN 4th Edition dated September 1964, with approx 175 pages. 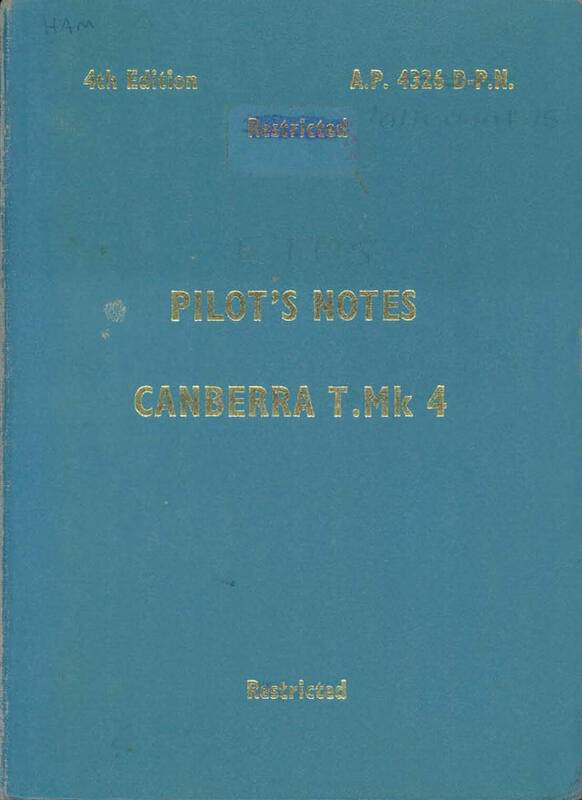 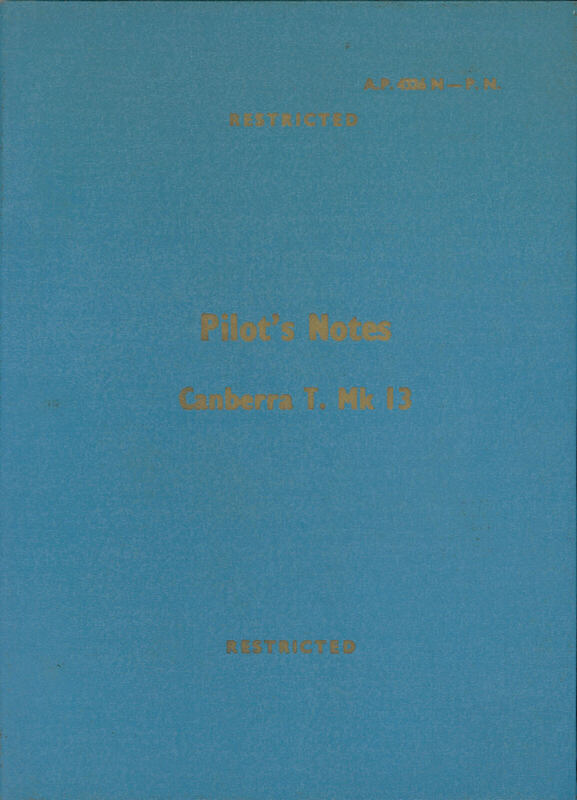 RAF Pilot’s Notes for the Canberra T.Mk.4, AP 101B-0404-15 (AP 4326D-PN) 4th Edition dated August 1962, with approx 183 pages. 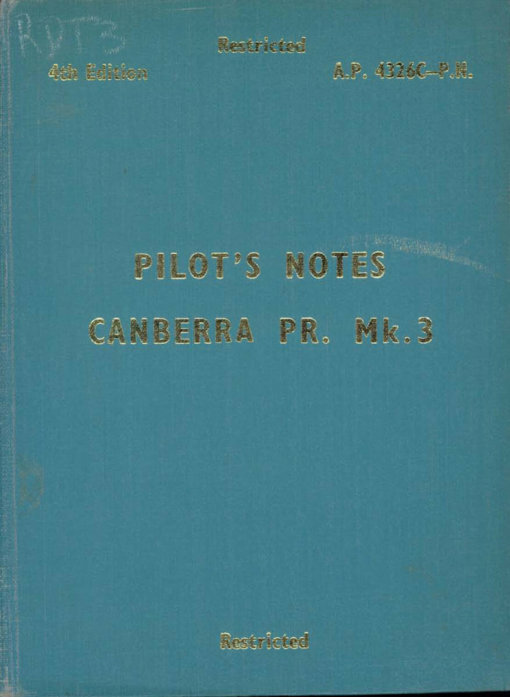 RAF Pilot’s Notes for the Canberra B(I).Mk.6, AP 4326F-PN 4th Edition dated November 1961, with approx 184 pages. 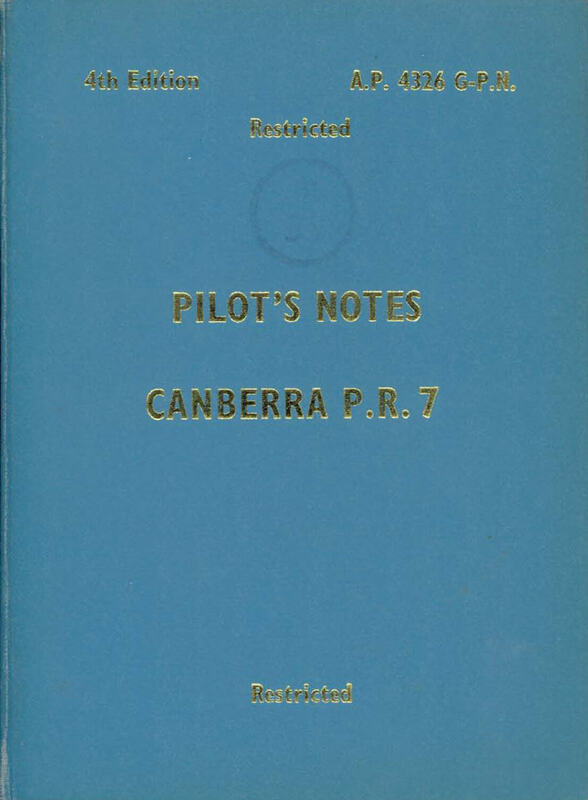 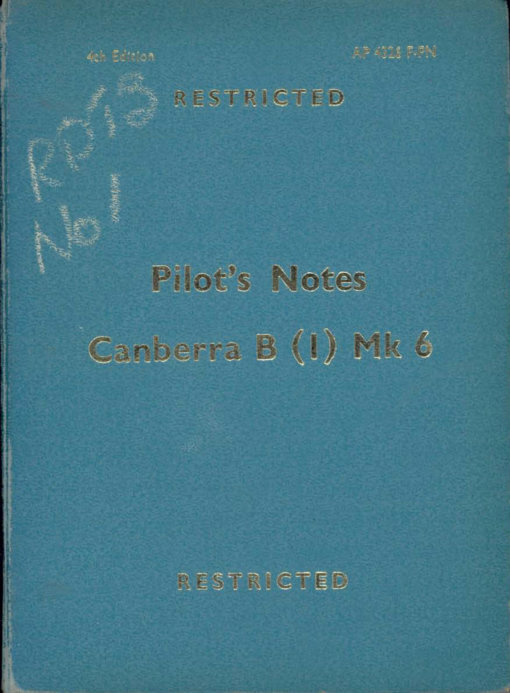 RAF Pilot’s Notes for the Canberra PR.Mk.7, AP 4326G-PN 4th Edition dated April 1962, with approx 178 pages. 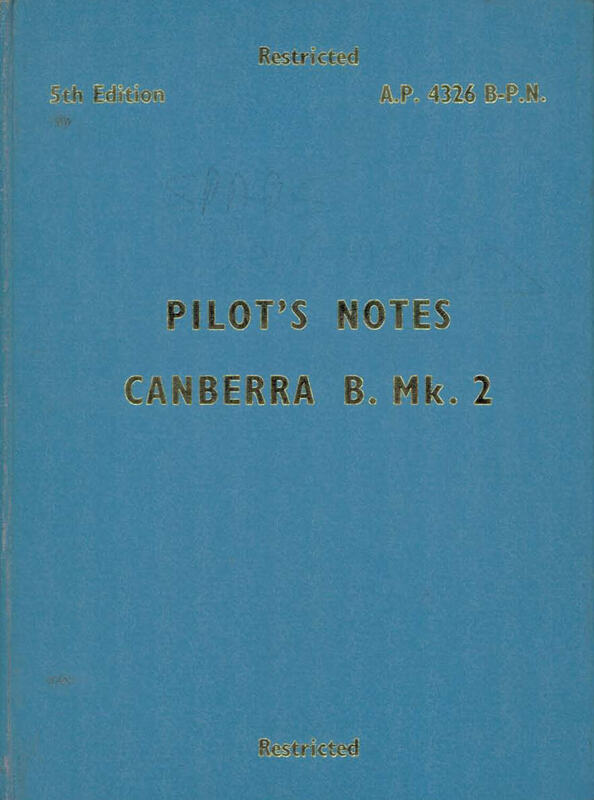 RAF Pilot’s Notes for the Canberra B(I).Mk.8, AP 4326H-PN 3rd Edition dated February 1962, with approx 163 pages. 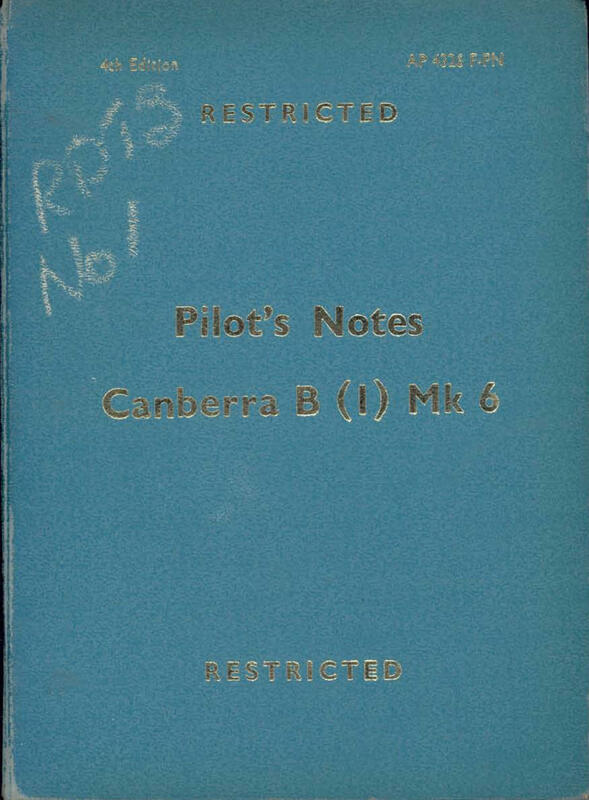 RAF Pilot’s Notes for the Canberra PR.Mk.9, AP 101B-0409-15 (AP 4326J-PN) dated July 1960, with approx 188 pages. 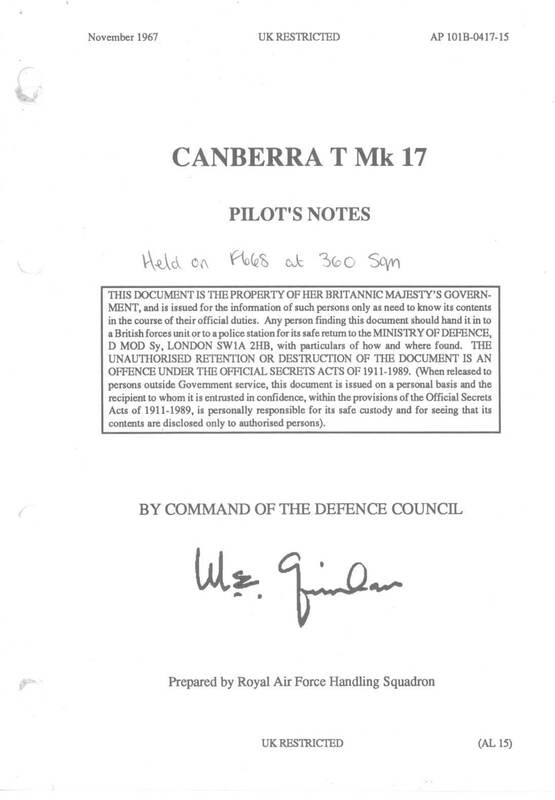 RAF Pilot’s Notes for the Canberra U.Mk.10, undated with approx 141 pages. 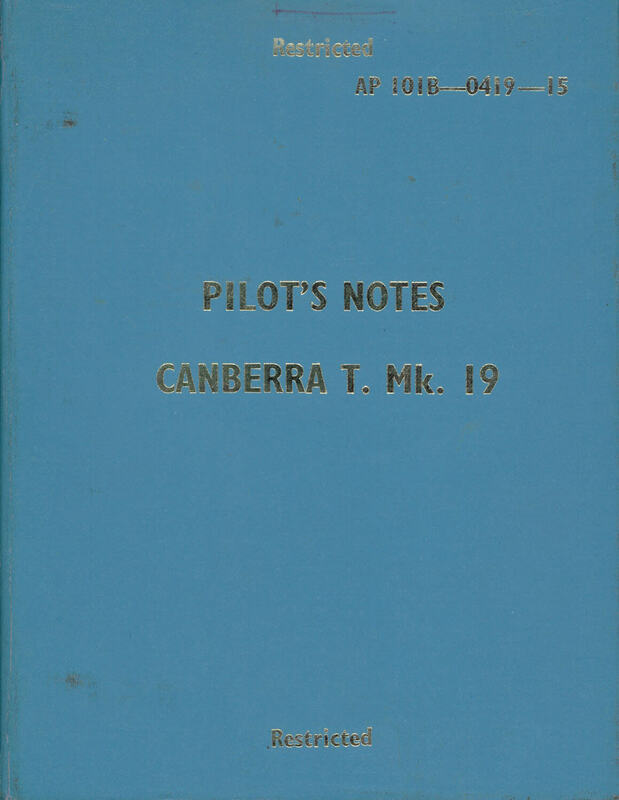 RAF Pilot’s Notes for the Canberra T.Mk.11, AP 4326L-PN 1st Edition dated January 1959, with approx 115 pages. 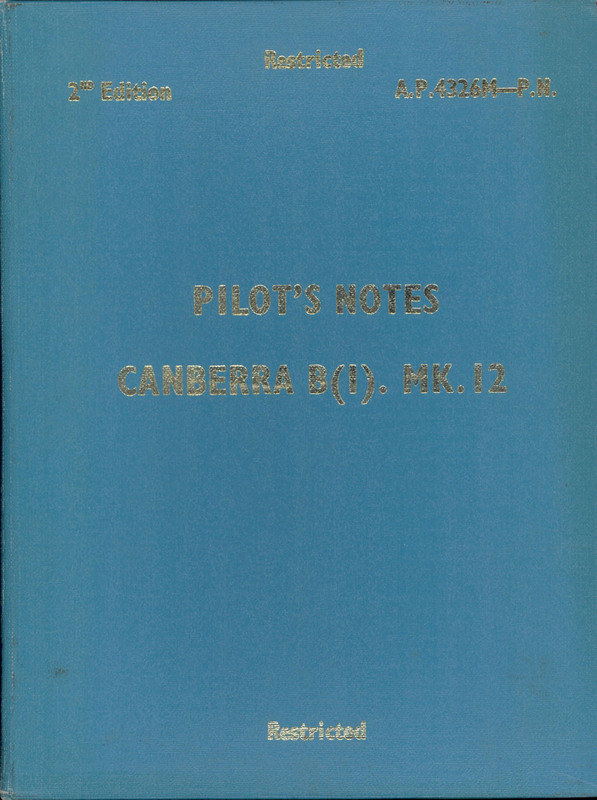 RAF Pilot’s Notes for the Canberra B(I).Mk.12, AP 4326M-PN 2nd Edition dated December 1964, with approx 186 pages. 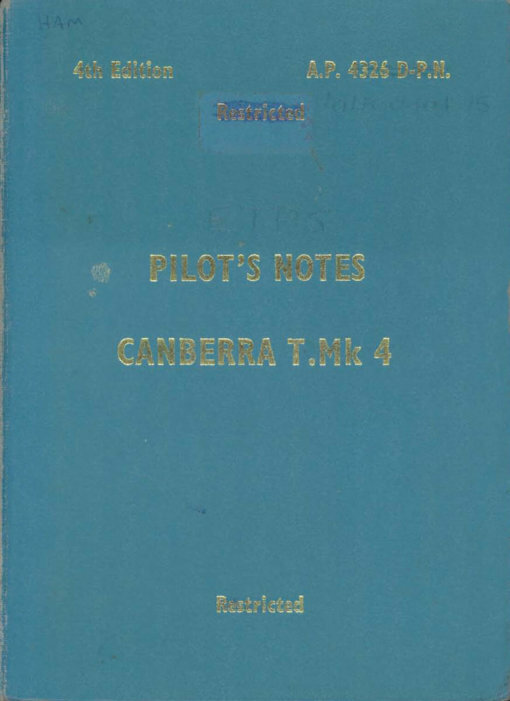 RAF Pilot’s Notes for the Canberra T.Mk.13, AP 4326N-PN dated March 1961, with approx 145 pages. 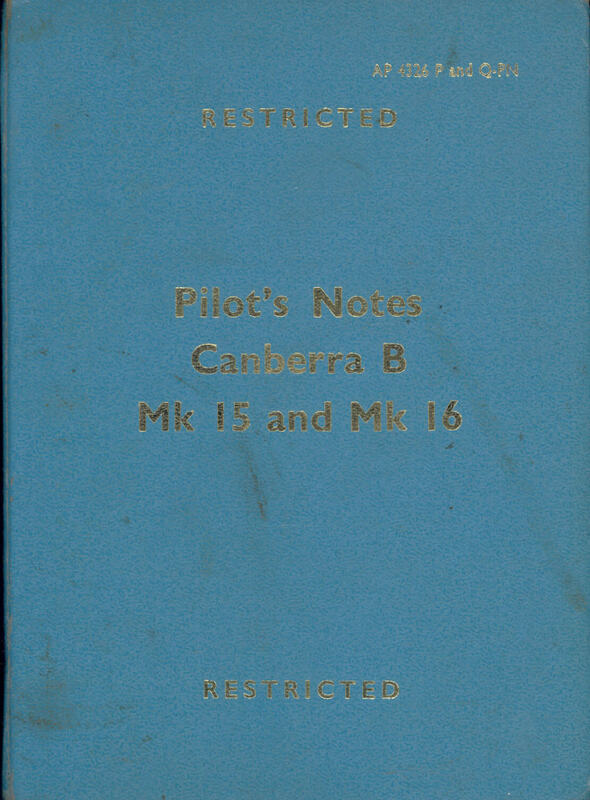 RAF Pilot’s Notes for the Canberra B.Mk.15 and B.Mk.16, AP 4326P and Q-PN, dated September 1961 with approx 201 pages. RAF Pilot’s Notes for the Canberra T.Mk.17, AP 101B-0417-15, dated November 1967, with approx 222 pages. RAF Operating Data Manual for the Canberra T.Mk.17, AP101B-0417-16 2nd Edition dated May 78, revised to AL4 dated August 88, with approx 108 pages. 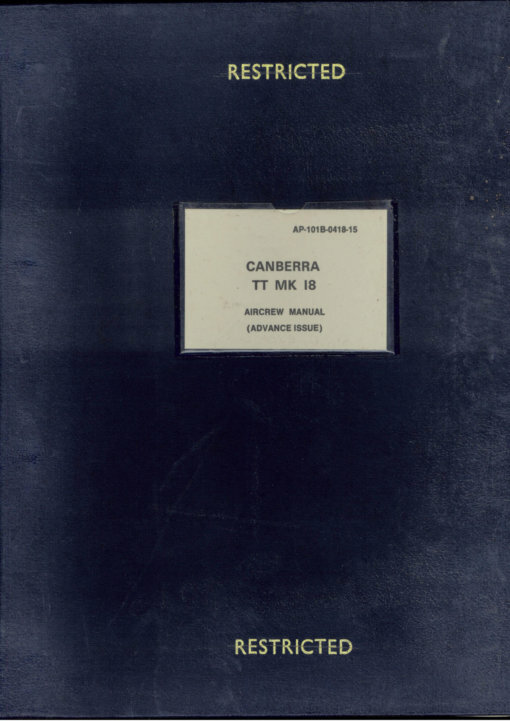 RAF Advance Issue Aircrew Manual for the Canberra TT.Mk.18, AP 101B-0418-15 with approx 161 pages. 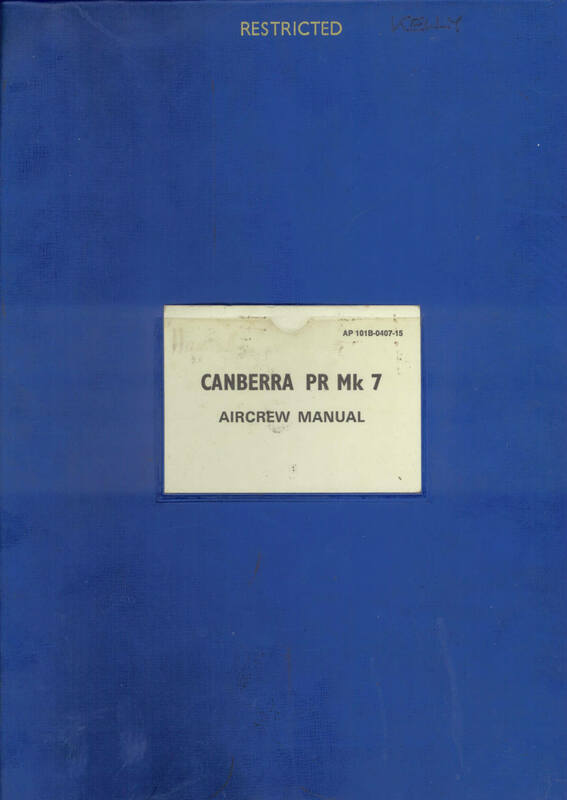 RAF Aircrew Manual for the Canberra PR.7, AP 101B-0407-15, 5th Edition dated June 1975 with approx 115 pages. 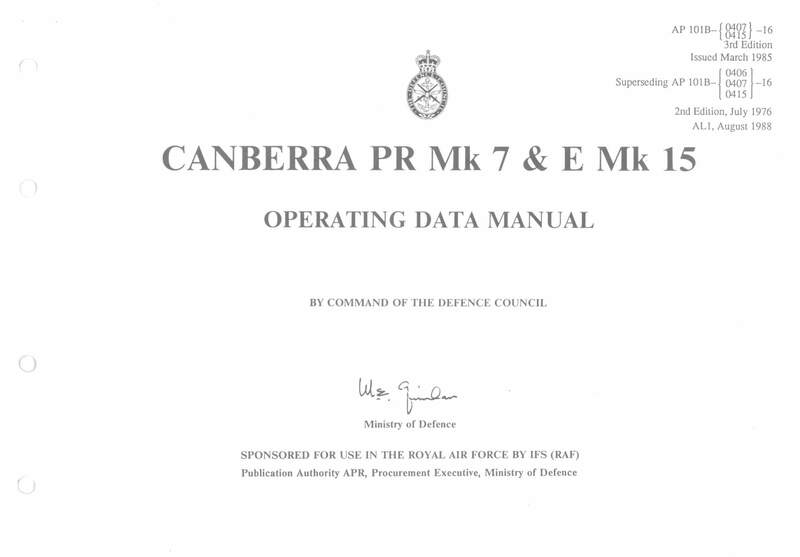 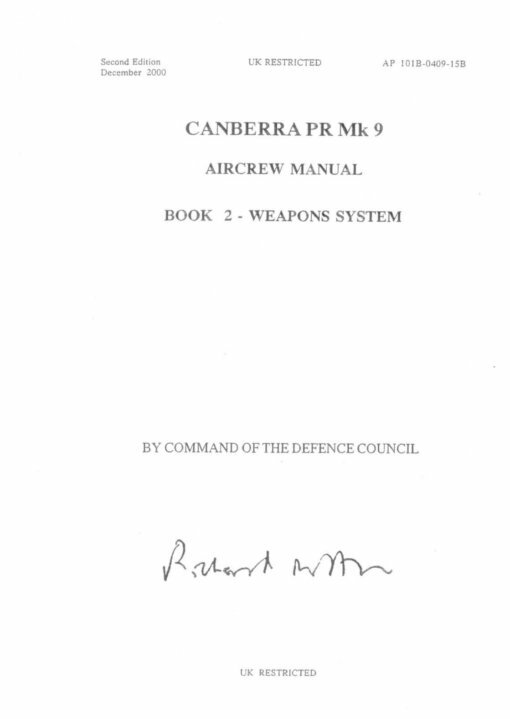 RAF Operating data manual for the Canberra PR.7 and E.15, AP 101B-0407-16 3rd Edition dated March 1985 with approx 149 pages. 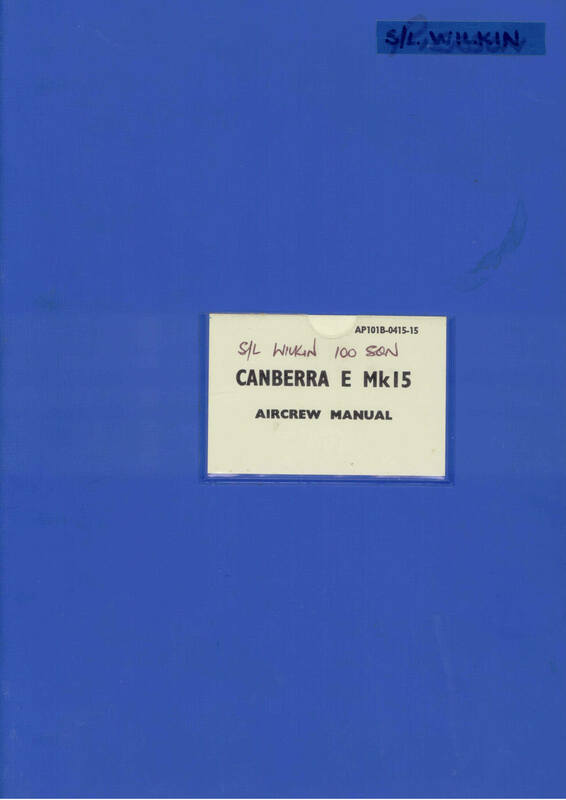 RAF Aircrew Manual for the Canberra E.15, AP 101B-0415-15 dated November 1972 with approx 110 pages. 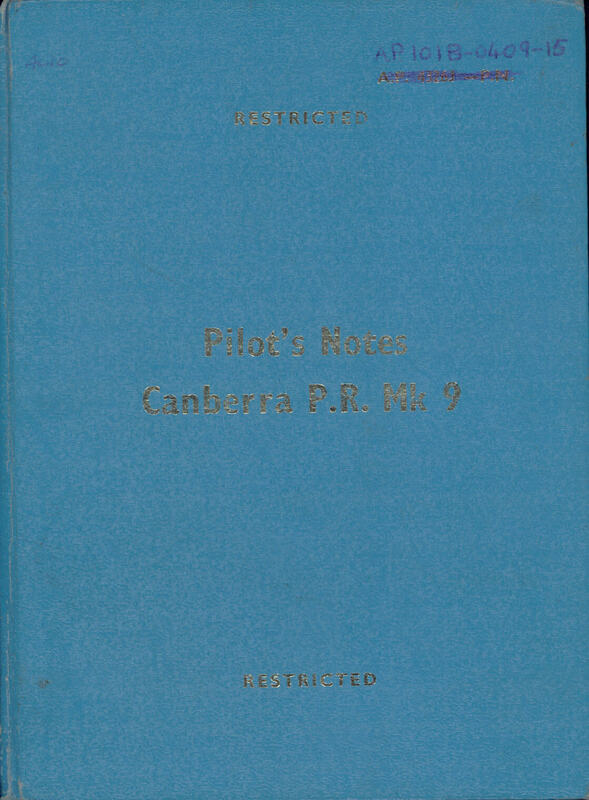 RAF Aircrew Manual for the Canberra PR.9, AP 101B-0409-15, 3rd Edition dated January 1999 with approx 262 pages. 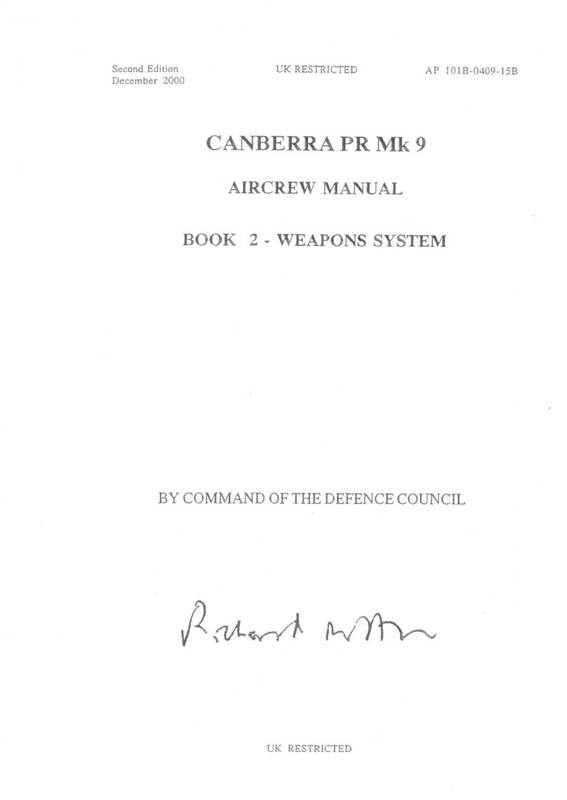 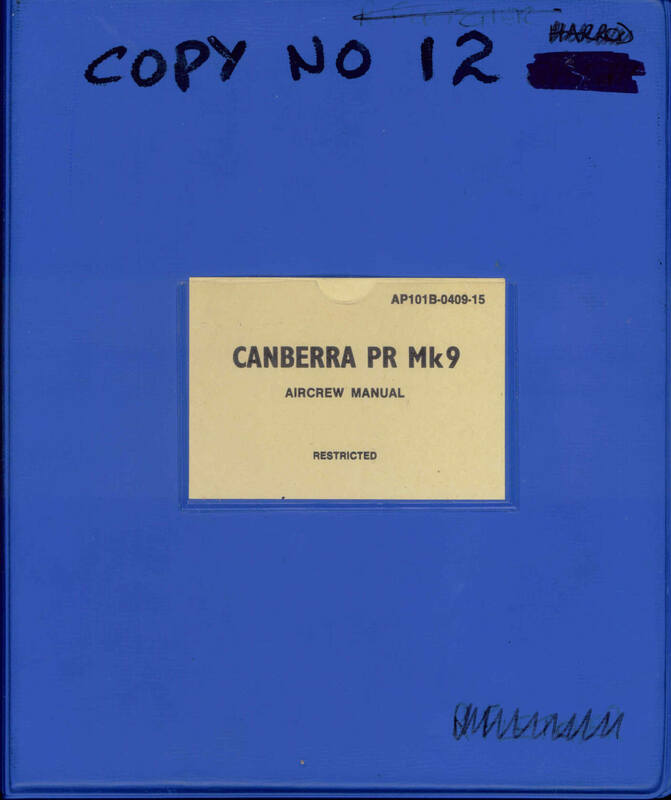 RAF Aircrew Manual for the Canberra PR.9, Book 2 – Weapons System, AP 101B-0409-15B, 2nd Edition dated December 2000 with approx 216 pages. 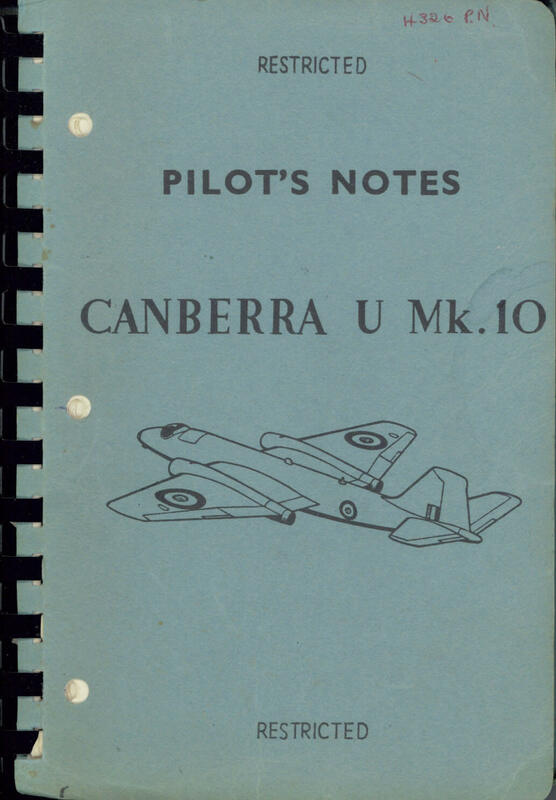 RAF Pilot’s Notes for the Canberra T.Mk.19, AP 101B-0419-15 dated August 1967, approx 164 pages.